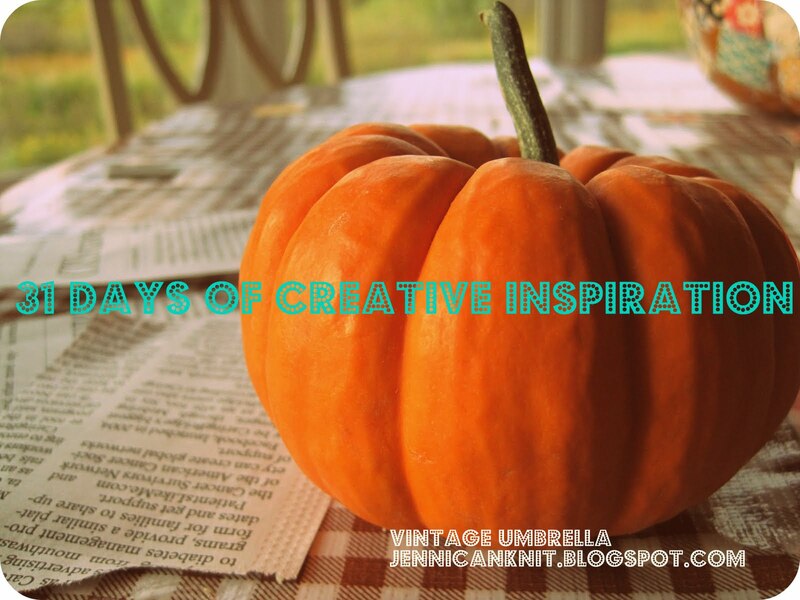 It is day 6 of 31 days of Creative Inspiration... if you want to visit some of the other blogs participating here is a linkhttp://www.thenester.com/2011/09/31-days-participants.html There are over 600 people participating... wow! Don't forget to sign up to follow my blog... you will be entered to win a pair of handknit mittens... made by me! I'll choose the pattern, you chose the colors. 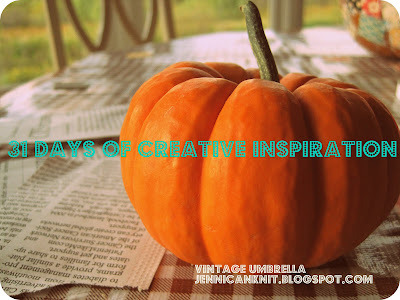 I'm going to announce the winner on October 14... (that is I LOVE YARN day). Click the follow button and follow the prompts.. It's so easy to make yarn pompoms. All you need is a ball of yarn, scissors and a pompom maker (I got mine at JoAnn's). You can use a cardboard circle too. When it is covered on both sides cut through the yarn on each side of the circle. Tie a double length of yarn through the middle. Tie it really tight so the yarn doesn't get loose and fall out. I decided to hot glue these pompoms on a stick... wouldn't a pompom bouquet be cute?! My wheels are spinning... what else can I do with these?! Sooooo cute! There's just something about poms like these that make me smile ~ Such fun colors, too!